Lhotse is the fourth highest mountain on Earth (after Mount Everest, K2 and Kangchenjunga) and is connected to Everest via the South Col. In addition to the main summit at 8,516 metres (27,940 ft) above sea level, Lhotse Middle (East) is 8,414 metres (27,605 ft) and Lhotse Shar is 8,383 metres (27,503 ft). It is located at the border between Tibet (China) and the Khumbu region of Nepal. Lhotse is best known for its proximity to Mount Everest and the fact that climbers ascending the standard route on that peak spend some time on its northwest face; see below. In fact Lhotse has the smallest topographic prominence value of any official eight-thousander, as it rises only 610 m (2,000 ft) above the South Col. Hence it is often seen as a minor eight-thousander. 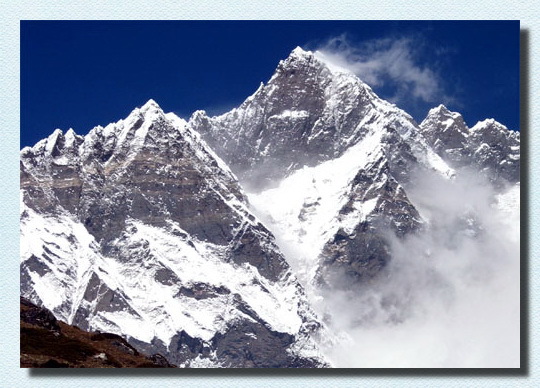 However, Lhotse is a dramatic peak in its own right, due to its tremendous south face. This rises 3.2 km (2.0 mi) in only 2.25 km (1.4 mi) of horizontal distance, making it the steepest face of this size in the world. The south face has been the scene of many failed attempts, some notable fatalities, and very few ascents (one of them, by Tomo Česen, unverified). 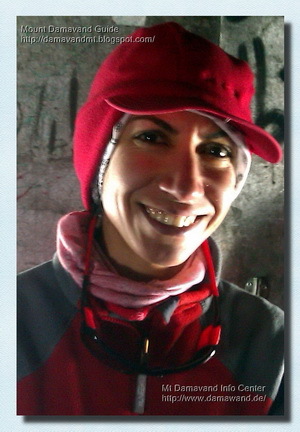 Parvaneh Kazemi Conquered Mt Lhotse immediately after her successful climb to Mt Everest. Lhotse is the third 8000 m in Parvaneh records. Mrs. Kazemi stood on Mt Lhotse peak on 25 May 2012 at 7:30 local time, along with sherpa Nima Gyalzen from Bedin, only 7 days and 18 hours after summiting Everest. Parvaneh is the first Persian lady Hymalia mountaineer to manage two summit over 8000 meters is a single climbing season and just in one week! Mount Lhotse 8,516 metres (27,940 ft) is the 4th highest peak on Earth (after Everest, K2 and Kangchenjunga). Congratulation and best wishes to Parvaneh on her return. پروانه کاظمی هیمالیا نورد زن ایرانی موفق شد بامداد جمعه 5 خرداد 1391ساعت 7:30 بامداد بوقت محلی قله لوتسه چهارمین قله بلند جهان به ارتفاع 8516 متر را صعود کند و این در ست یک هفته بعد از صعود وی به قله اورست است. این برای اولین بار استکه یک کوه نورد زن ایرانی موفق میشود دو قله برتر جهان و بالای 8000 متری را در یک فصل صعود و انهم در عرض یک هفته و 18 ساعت صعود نماید.